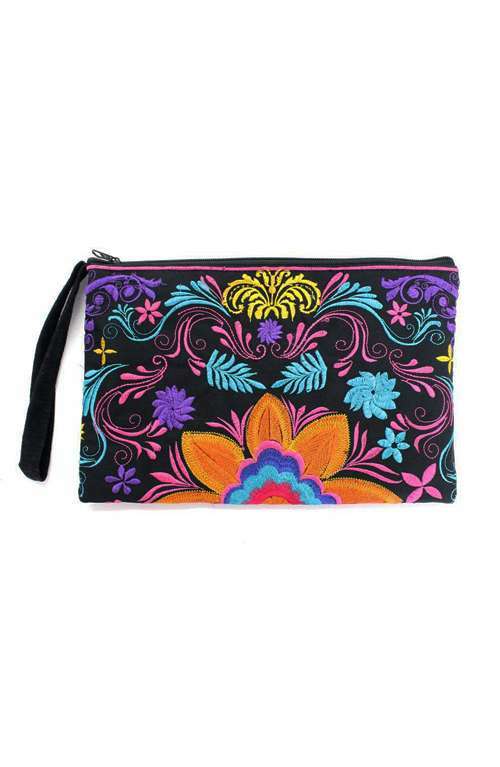 A gorgeous boho clutch bag handmade with embroidered textile. This boho bag is the ideal clutch purse which also has a small strap to be used as a wristlet. 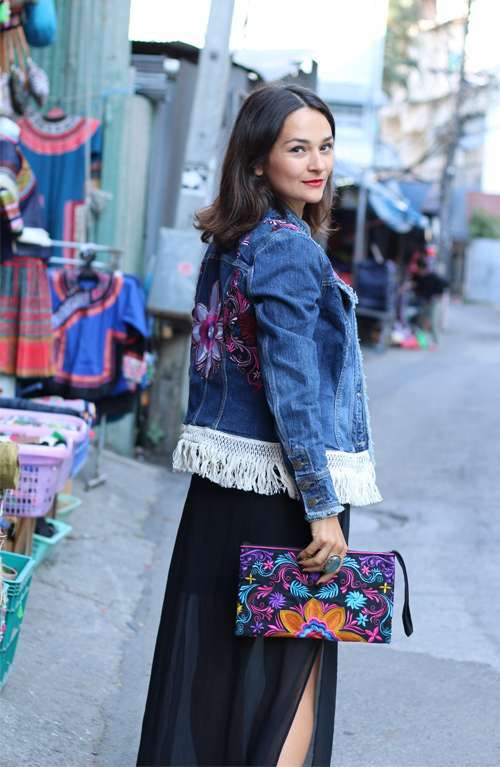 This beautiful boho style clutch bag is handmade in Northern Thailand. 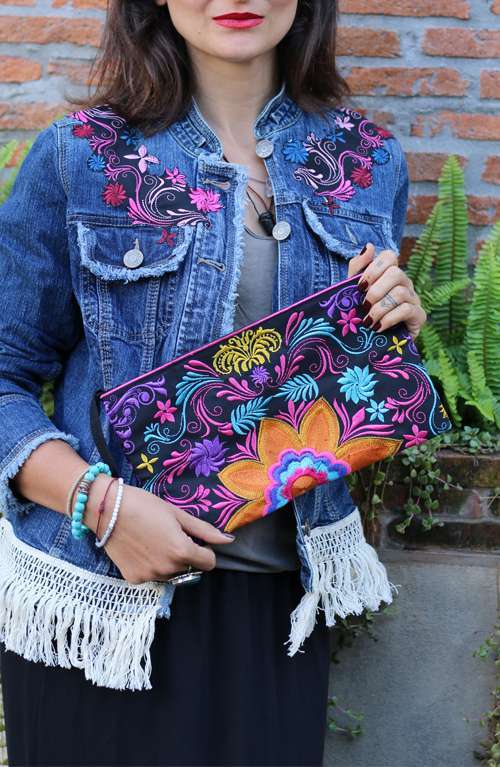 The boho clutch purse is made with unique embroidered textile. This boho bag has a zipper opening and a zipper pocket inside. 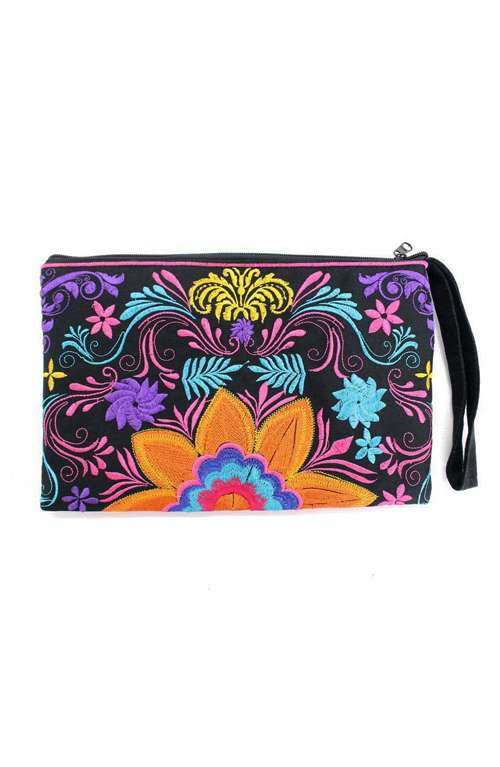 The bohemian purse also has a small strap to be used as a wristlet.